An epic 500+ page tome exploring the history and development of black metal from its beginnings in the early 1980s to the present day. Featuring dozens of interviews with and material from the most significant protagonists, integral bands, iconic photographers and hangers-on of the time. The book also includes a wealth of previously unpublished images. Has Black Metal, in all its current interpretations, finally breached the mainstream with its inclusion in Goldfrapp videos, cross-globe exposure, cumulating in televised parodies? Despite a history of association with and blatant demonstration of criminal activity, black metal has become Norway’s biggest cultural export, earning it support from the government itself. 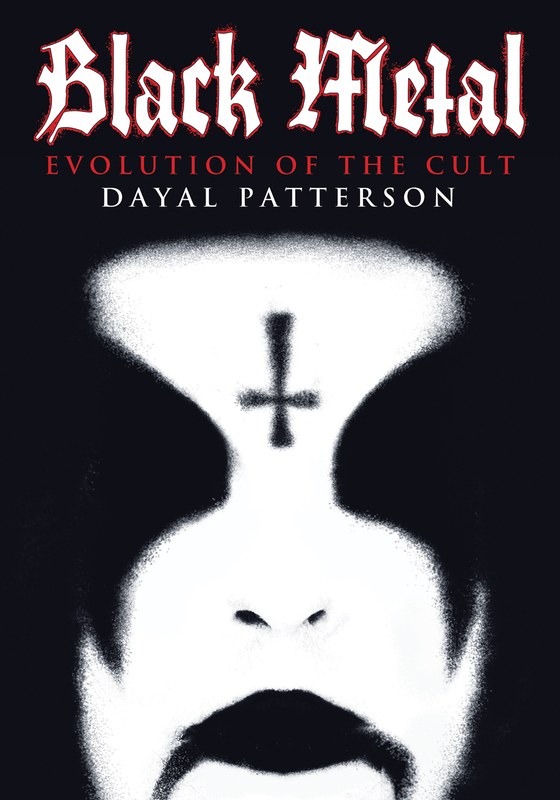 Dayal Patterson has been following the black metal scene since the mid-1990s and writes and photographs for Metal Hammer and Record Collector magazines, and also contributes to The Quietus, Terrorizer and Classic Rock Presents, as well as writing biographies and liner notes for Marduk and Killing Joke.